Aya Madre is located about an hour from the international airport in Iquitos, Peru. The center lies deep in the jungle, off Carretera Nauta (KM 22), down a dirt road just past the tiny village of Nueva Esperanza. The center is fairly remote and secluded and is currently composed of 5 individual tambos, a larger shared guesthouse, a kitchen, a large maloka, and 2 outdoor bathrooms (construction is under way for 2 additional bathrooms and 4 showers). ​These simple, rustic, yet comfortable buildings are located in a large clearing filled with white sand, mysterious (and rare!) patches of soft jungle moss, and a nearby creek for swimming and bathing. As the center continues to grow and expand, we anticipate building several more individual and large tambos/guesthouses, a common area, a medicine & vegetable plant garden, a house of medicine, and more. The property contains approximately 22 acres of land, much of it pristine rain forest. 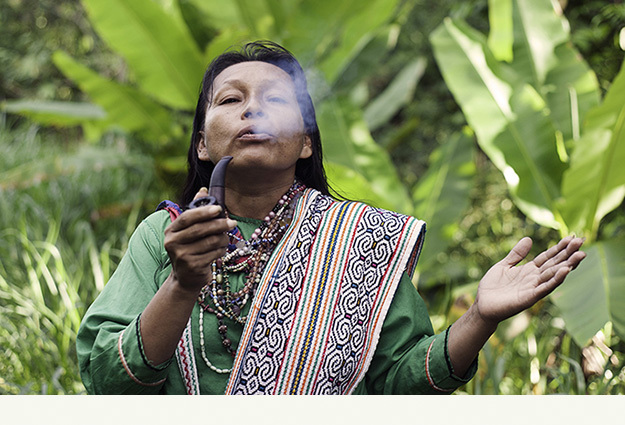 Come stay at Aya Madre and help us build a traditional yet innovative healing house and community for the 21st century!